Al Jazeera America has been sued for $15 million and one executive accused of being anti-Semitic and discriminating against women. A day after Al Jazeera America was hit with a lawsuit that accuses a top executive of the news agency of being anti-Semitic and discriminating against women, the head of the fledgling cable news network called a company-wide meeting. Staff members gathered in the New York City newsroom or watched through a live feed as Ehab Al Shihabi, the chief executive of the network, said he would fight the lawsuit. A person present at the meeting said that Al Shihabi urged staffers not to leak to the press. "I trust all of you," Al Shihabi said at the meeting, according to the source. "Well, I trust some of you." The meeting on Wednesday came a day after Matthew Luke, the network's former director of media and archive management, filed a $15 million workplace retaliation lawsuit against AJAM. A spokesperson for AJAM downplayed the significance of Wednesday's meeting, calling it "routine." Luke had been with AJAM since its inception in 2013 before being fired in February. In the complaint, Luke alleges that he was dismissed shortly after complaining to human resources that his boss, Osman Mahmud, discriminated against women and made disparaging remarks about Israel and Jews. According to the complaint, which was filed in the New York Supreme Court, Mahmud pulled female employees off projects to which they had been previously assigned by other managers and excluded them from meetings and emails. Ehab Al Shihabi is the head of Al Jazeera America. The complaint claims that Mahmud, AJAM's senior vice president of broadcast operations and technology, said that supporters of Israel "should die a fiery death in hell." He once tried to replace an Israeli cameraman with a lesser qualified Palestinian cameraman, the complaint alleges. Lukes' complaint says he was fired 10 days after complaining to human resources. 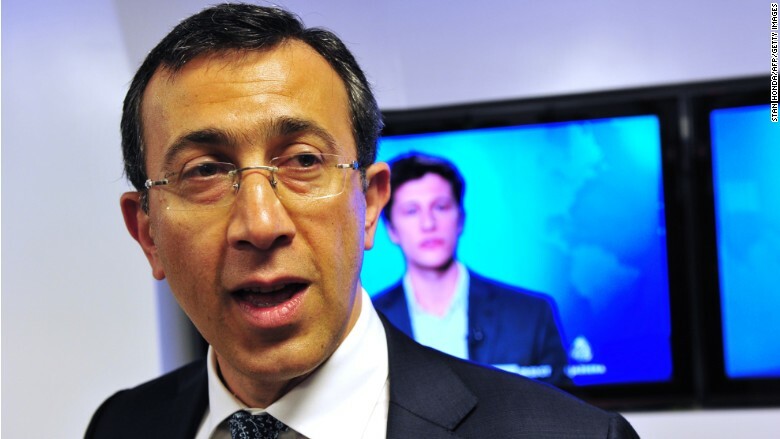 "When Mr. Luke, an exemplary and loyal employee at Al Jazeera, reported the biased and discriminatory conduct of a high-level newsroom executive, the response was to circle the wagons and fire the messenger," Luke's attorney, Jeffrey Kimmel, said in a statement. AJAM said in a statement that it "does not comment on pending litigation." "The company takes these matters seriously and will respond in the appropriate forum," the statement said. In an interview with the Washington Post, Mahmud denied Luke's accusations and described Luke as a difficult employee. "He's an aggressive person," Mahmud said of Luke. "He yells at you. He wants to have the plan according to his way of working." Initial news reports about the lawsuit noted that two female employees -- executive vice president for human resources Diana Lee and executive vice president for communications Dawn Bridges -- abruptly resigned this week. Lee was present at Wednesday's meeting and said her resignation had nothing to do with the lawsuit, and that she was leaving to try other things. The AJAM spokesperson said that both resignations have been months in the making. AJAMhas been beset by anemic ratings since it launched nearly two years ago, and the lawsuit comes amid reports of turbulence at the network. 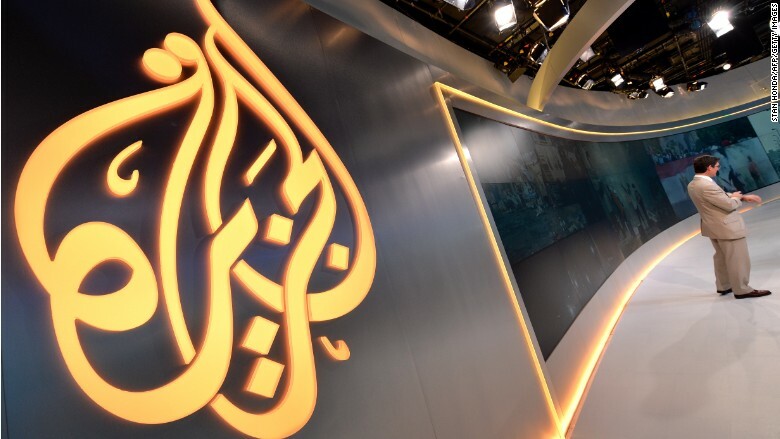 Variety reported Tuesday that AJAM "has quietly been replacing some of its programs and newscast blocks with the feed from Al Jazeera English, the English-language service run by the parent company." That runs counter to the company's original mission to keep AJAM separate from Al Jazeera English. The source who attended Wednesday's meeting said that AJAM is experiencing some major changes. "It's going more international, more like Al Jazeera English," the source said. "It has a more global feel." The Qatar-based Al Jazeera Media Network launched AJAM after purchasing Current TV, the progressive news channel co-founded by Al Gore.